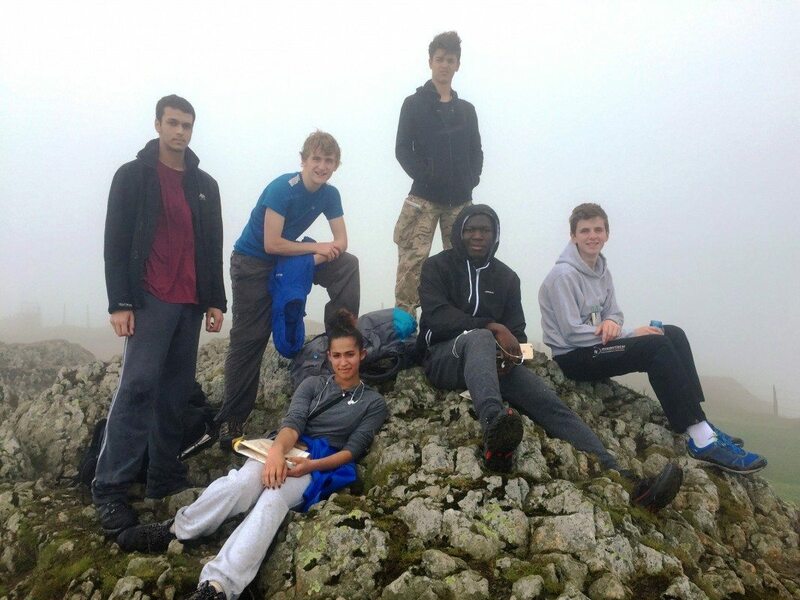 On Thursday 25th June, a group of six Year 12 pupils from NBH Canonbury ventured to the Lake District, accompanied by Mr Stenning and Ms Hands, to undertake their Gold Duke of Edinburgh practice expedition, which they had been planning for a number of months in their after school DofE sessions. The Sixth Formers spent most of Friday on a practice walk from the Youth Hostel in Ambleside up to Wansfell Pike (an altitude of 482 metres). This enabled the group to hone their navigation and compass skills, as well as estimate how long each leg of their journey would take. Later on in the day the group drove into town to stock up on supplies for their expedition. The adventurers left Clappersgate early on the Saturday morning, completing a walk over Loughrigg Fell towards Grasmere, and then on towards Alcock Tarn and up to Heron Pike. Unfortunately, one of the paths on their OS map didn’t seem to exist in real life, which meant for a scramble up part of the route! Nonetheless, all were rewarded with stunning views across towards Lake Windermere from the top of Heron Pike. The group then walked down toward the village of Rydal, were they camped for the evening. The next day, everybody awoke to the disappointing sound of rain! Despite Mr Stenning’s suggestion of an early start, the group managed to eventually leave camp by 9am. Once they left the campsite, their route took them along the Scandale Pass and up towards Red Screes. The weather was cold and wet and visibility was really low. However, all were in good spirits as they made it up and over the mountain. The cloud soon lifted to reveal yet more stunning views of the lakes. The route took them over two more hills before descending into the Troutbeck valley and finally to the campsite at about 9.30pm for a late dinner! The final day consisted of a short walk back to Ambleside before driving back to London. All pupils in the group – Deckard, Yanko, Hugo, Will, Vicky and Lyncel – performed admirably. It was a long hike in unfamiliar territory with large rucksacks. The group really looked out for one another and remained in good spirits throughout, and are now well prepared for the upcoming assessed expedition.